Look for the Proudly Wisconsin Badge when shopping for cheese. Any brand of Wisconsin Cold Pack, Gouda, Caso Bolo Mellage or BelAdagio can be used in this recipe. Arrange the Carr Valley Caso Bolo Mellage, aged gouda, Door Artisan BelAdagio and red wine cheese spread on a serving board. Fill in board with caramels, coffee beans, salami, pomegranate seeds, toffee, pecans, strawberries and crackers. Make it your own! 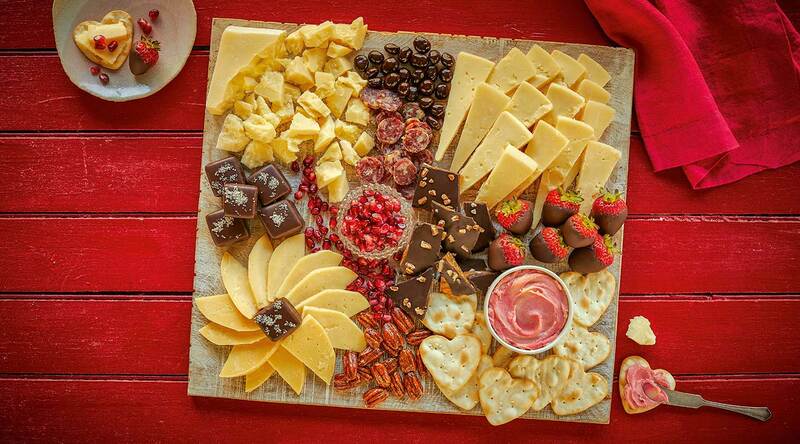 Substitute any of your favorite brands and varieties of Wisconsin cheese on this cheeseboard.